Foldable phones are going to be all the rage in 2019. Samsung started it with its Galaxy F and now we have a slew of companies like Apple, Oppo, Huawei and now Xiaomi. The Chinese phone major plans to come out with a three-panel foldable phone. Reputable technology leaker, Evan Blass has shared a video of what is believed to be a three panel folding device. However, Evan himself said that the authenticity of the video was in question. The small 19 second clip posted by Blass on Twitter shows two side panels that can be folded backwards to offer a normal smartphone-sized display screen. However, there is no evidence to show that the product belongs to Xiaomi. Earlier last year, ET News had reported that Xiaomi was developing an "outfolding" phone with plans to release it sometime in 2019. In 2018, Apple too had revealed a smartphone that could be folded in half. The company had showcased how "overlapping hinges" could be attached to "flexible displays" to allow the device to bend. Huawei too had spoken about a 5G foldable phone last year. 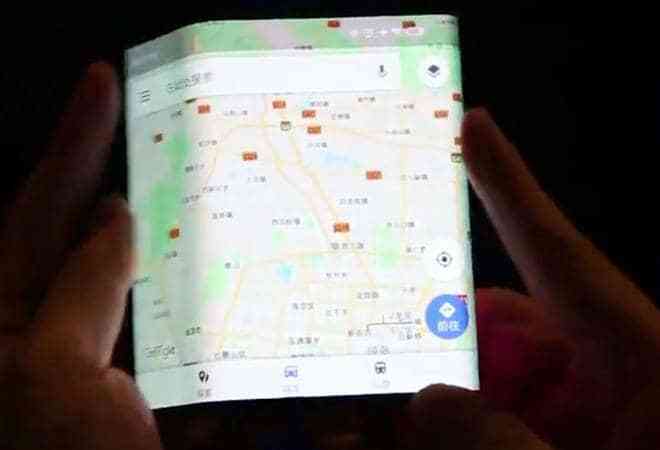 To recall, Royole had recently showcased their foldable smartphone Flexpai, thus, marking the beginning of the foldable screen era. Flexpai was a 7.8-inch hybrid device and had the ability to fold by 180 degrees and transform from a tablet into a phone. The base model of FlexPai is priced at 8,999 yuan, or around $1,300. Samsung's foldable smartphone, on the other hand, is expected to be launched in March 2019.